Franche Community School in Kidderminster, Worcestershire approached Brintons to provide a custom carpet for their reception area and corridor. 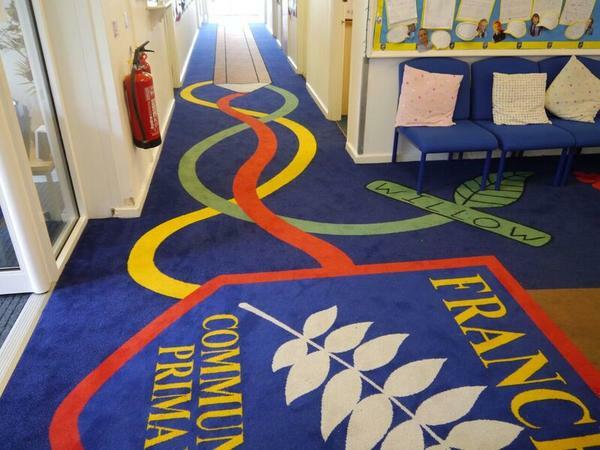 Ian Barton, ‎Commercial Business Manager at Brintons and Val Weddell-Hall, Headteacher thought it would be great idea to encourage the pupil's creativity by asking them to produce a design for the new carpet. 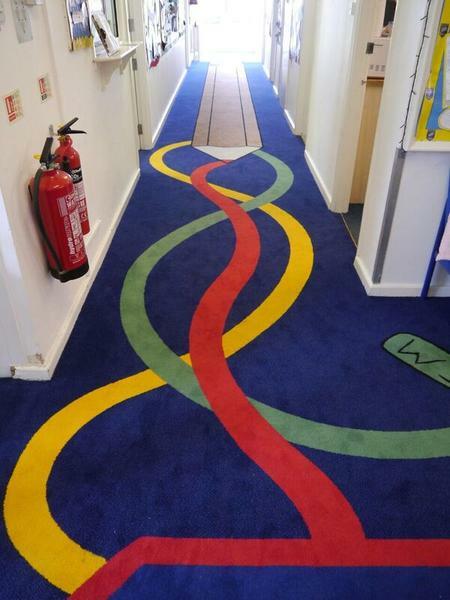 The children submitted some wonderful designs and four were finally selected and merged to create one large scale design, elements include the school crest, a tree featuring the school's four Houses of Oak, Beech, Elm and Willow and a large pencil which runs the length of the corridor. 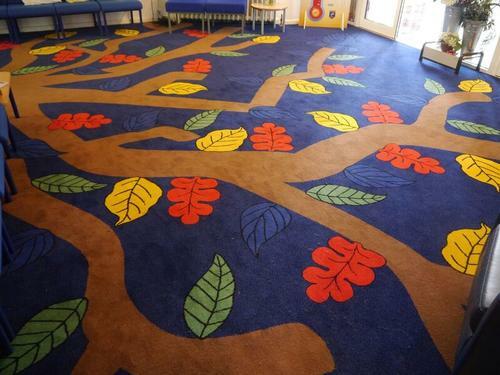 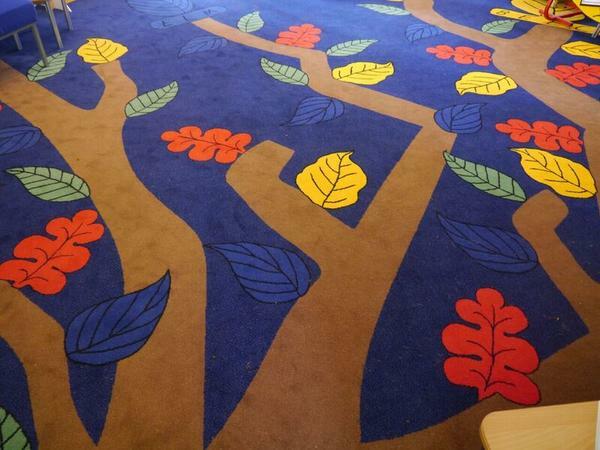 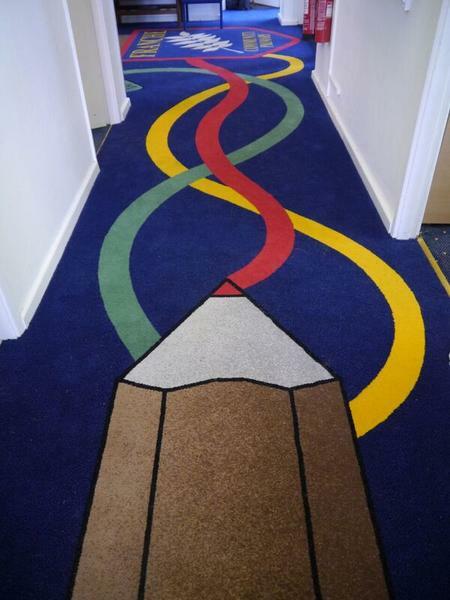 We are delighted with the stunning carpet Brintons have created for us; it came about through excellent liaison with Ian and Jane at Brintons who worked with our staff and children throughout the design process to transform our pupil’s ideas and designs in to a reality. 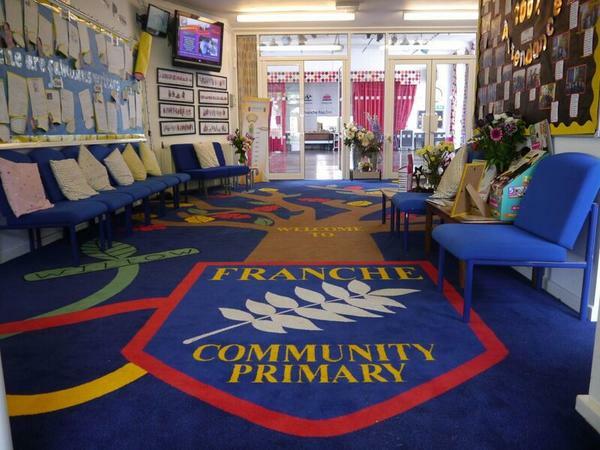 The carpet has created a bright and welcoming environment for pupils, parents, staff and visitors. 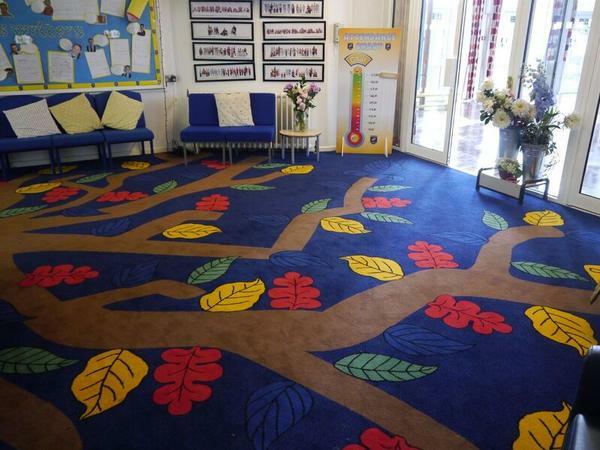 We are so grateful to Brintons for their magnificent contribution to our school.